$3,928,000 CAD 4 1 more room could be used as bedroom Toronto Residential Detached "2-Storey"
$3,399,000 CAD 5 Vaughan Vaughan Residential Detached "2-Storey"
Welcome to my website, Greater Toronto Area (GTA) RE/MAX Premier Real Estate Professional, my website is free source of Greater Toronto Area Real Estate Search. Attention Sellers If you own any Real Estate anywhere in GTA, Toronto, Mississauga, Oakville, Brampton, North York, East York, Vaughan, Etobicoke, Richmond Hill, New Market, Aurora, Markham, Scarborough, Pickering, Ajax or in any neighborhood of GTA that you're thinking of selling, contact me to get my professional consultation before making any decision. 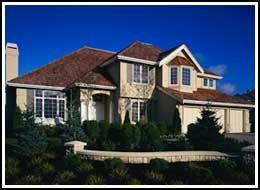 Your house may worth more than you are thinking my job is to sell your home in least amount of time with top dollars. I would be happy to see you and present my marketing plan to sell your home fast with a Free Market Evaluation without any obligation to you. Attention Buyers in today's competitive real estate market, timing is everything. Many good houses come in the market and are sold even before they are ever advertised. if you are a first time home buyer and looking to buy your dream home, Condo, Luxury Condo, Townhouse, Semi Detached House, Detached House, Bungalow, Raised Bungalow, Link house, Freehold property, Commercial Property or Investment Property in GTA, Toronto, Mississauga, Oakville, Brampton, North York, East York, Vaughan, Etobicoke, Richmond Hill, New Market, Aurora, Markham, Scarborough, Pickering, Ajax or in any neighborhood of Greater Toronto Area (GTA) my website will allow you to search homes for sale in GTA, Real Estate for sale in GTA, free mls listing search in GTA, RE/MAX Listings in Toronto, beat other home buyers with my latest & New MLS Listings Notifier. All you have to do just select homes from my listings I will take care of rest. Being a Greater Toronto Area (GTA) Real Estate professional Kaleem Salahuddin 416-992-9860 is committed to provide you best possible services and to protect your best interest in complicated Real Estate transaction. My job is to find you best match property according to your need and requirement in your price range. I will make process easier for you and your family, help you to determine the right price of the property you are willing to buy and provide you my best profession consultation, negotiate in your best interest, prepare an agreement and all other relevant documents for you. Help you to get your home inspection done. Provide you support before, during, and after sale. My website is your free source of finding wide range of Greater Toronto Area Listings. This advance Listings search will allow you to perform your search in your particular and specified Greater Toronto Area City and neighborhoods. Make sure when you perform specified search required area bax/block should be selected "Blue" and rest of the blocks should be white in order to perform right search.